Hagelsegård Ørredfiskeri is with the website's words, "a real gem" in a beautiful and peaceful natural area. 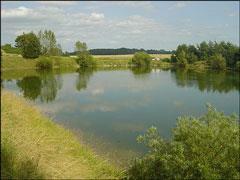 The area is a nice place for fishing for the experienced angler as well as for the beginner. Hagelsegård Ørredfiskeri offers a fishing lake of 12,000 squaremeters. At the deepest point it is about 15 meters. Fishing license: Fishing license can be purchased at the farm. Opening Hours: Open from sunrise to sunset.